As e-commerce technology evolves, static websites are quickly becoming a thing of the past. Now even the smallest online business can accept orders like the big corporations. Database-driven e-commerce websites custom programmed by Dynamic Digital Advertising, a preferred e-commerce website designer and solution provider, are affordable and state-of-the-art. Build relationships with your customers, update site information, and implement real-time processing for your e-commerce website by calling DDA. DDA’s custom e-commerce database programming helps companies build relationships with customers. As a new customer purchases a product from your site, they can create a personalized user profile complete with their billing and shipping information, user name, password, and email address. Once they have established a user name and password, customers can access their existing accounts where they may have set aside items in a “wish list” or “saved cart.” By obtaining billing and email address information companies can suggest additional products that may be of interest or provide special discounts, free gifts, etc. as incentives for them to return to your site for future purchases. Do you need to revise customer information or reports on the fly? Or do you need to integrate new content, online specials, or product offerings? With DDA, updating your e-commerce database is easy. We can program administrative e-commerce tools so you or your IT department can efficiently make any and all necessary adjustments. For those who lack technical ability we can train you to use these tools successfully or we can update the site for you at your request. When your visitors can see changes instantly, they know that your online business is an evolving entity constantly striving to improve and grow. An e-commerce database system supporting a real-time application has to provide real-time information to execute transactions effectively. Each real-time transaction is associated with a timing constraint, typically in the form of a deadline. Consequently, it can be difficult to satisfy all timing constraints due to the consistency requirements of the underlying database. To schedule as many transactions as possible within their deadlines let DDA custom program your e-commerce database. In an instant, transactions are made, recorded, and processed and email receipts are automatically sent to you as well as your customer. With experience and technical know-how in e-commerce database programming, DDA is able to build an e-commerce online store that is as close as one can get to the easy transactions made in the brick-and-mortar world. Dont just generate interest, generate leads with Dynamic Digital Advertisings custom website designs. An attractive and informative website is not enough to rank high for targeted keywords on the results pages of major search engines. Without search engine optimization, the aesthetic design and key information may never be seen by website visitors. 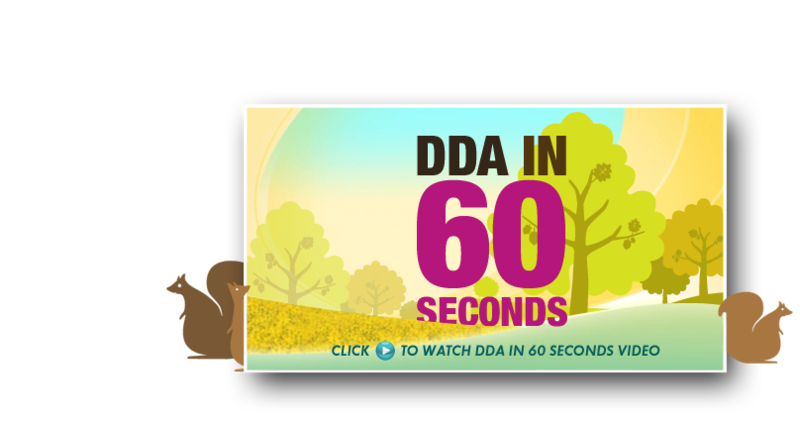 DDA, a professional website design company, develops custom website designs that feature intuitive navigability, exceptional marketing copy, high levels of optimization, and more. With DDA, visitors enter your site, become interested in your products or services, and make contact. Get your message across effectively in electronic and print media with graphic designs from Dynamic Digital Advertising (DDA). We offer a vast array of graphic design services including 360-degree animated product spins, virtual reality tours, trade show table covers, and more. Whether you would like graphic designs to complement product information in a brochure or to advertise your companys services on a truck sign, our graphic designs are a sure-fire way to get noticed. As a professional custom graphic design firm, DDA is equipped with top graphic designers and a state-of-the-art graphic design studio to take on projects of all types.